tuning tools set; the amazing SMARTractor and the SMARTstylus which can help you achieve outstanding outcomes I never thought possible using only analog set up, and of course my new “Archon” cartridge replacing a beloved and precious ZYX. 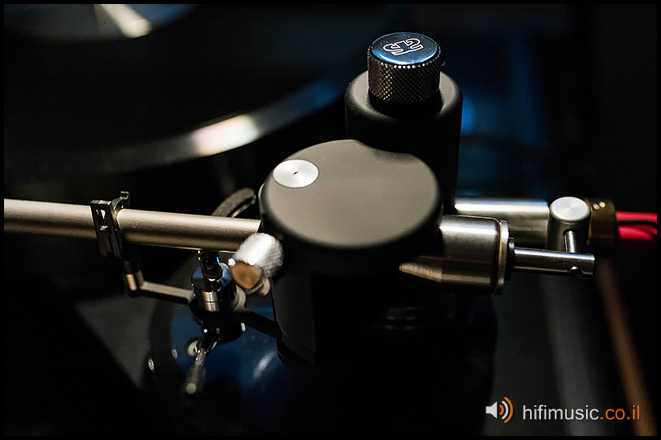 This time I am proud to write a review on maybe one of the most renowned and prize awarded tonearm, "The Aquilar". Just as a reminder, Acoustical Systems (A.S) specializes solely in analog product. 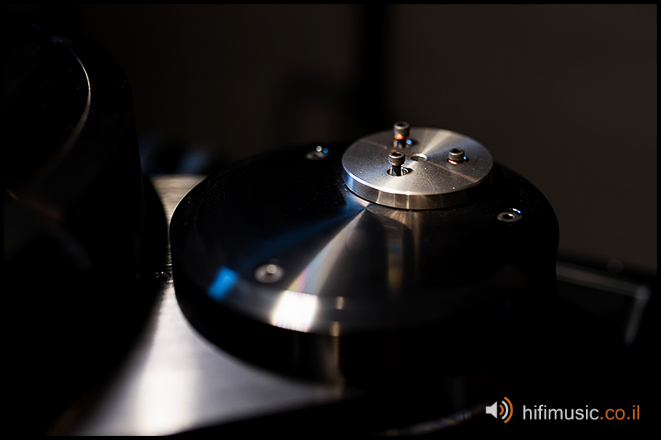 D. Daniel Brakemeier formed this company a few years ago when he presented some turntable tuning products such as the SMARTractor and a 12" tonearm called Axiom that is referred to as a true statement product until this day (very expensive though). Plus, a new and modern geometric calculation for cartridge tuning in ratio to the tonearm and the turntable called UNI DIN which I consider as one of most important and real innovations in the analog field since the 60s. The industry started recognizing the Bavarian genius as his products landed on the magazines’ tables and serious audiophiles took Dietrich's products into consideration, and not only virtually through sites such as Audiogon, WBF, Asylum Vinyl and even E-bay. My first encounter with A.S was through a dear friend that invests heavily on his analog system particularly, which met Dietrich’s products over the Internet pages and in one of the Munich audio shows. He was very impressed with the quality (especially the remarkable accuracy and precision) of his turntable setup products. I will never forget his impression and enthusiasm from the SMARTractor that he purchased directly from the company. Fortunately, another sworn fan shared the “discovery” and decided that he must import A.S to Israel and so he did. Mr. Igal Lasri, from “IL Audio” is the Israeli A.S dealer. Through Igal we are able to purchase the company's products with ease and confidence. Dietrich announced the “Super tonearm” with the effective length of 12 inch near his company established a few years back. But the long development, production, the hideous expensive parts that he uses and the well-known German persistence over the details brought the price tag of the Axiom to a level that only few are able to buy (retail price of over 18,000 euros). But 2-3 years after A.S introduced the Axiom, Dietrich came with its “cheaper” kin, the ‘Aquilar’, which in fact achieved more praises than its former family member. In fact, Dietrich worked for a whole two years on a more “approachable” product that could bring most of the qualities of the Axiom, in a more reasonable price tag. The raw material used to produce the Aquilar are almost similar to those of the Axiom. 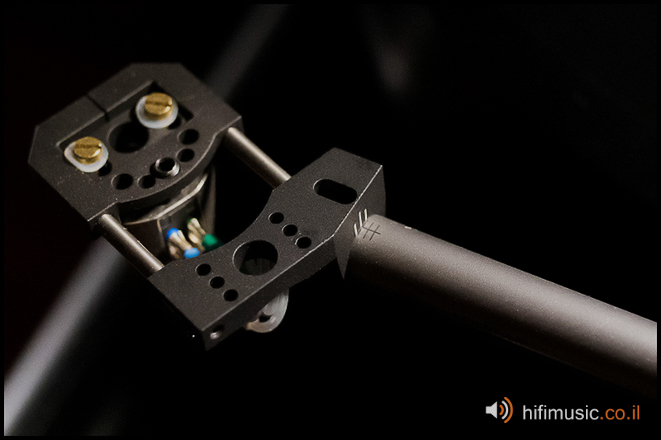 Titanium, carbon fiber, tungsten HD18, pure silver threads and more are just a part of a long expensive list that A.S is using in building these tonearms. Add to that the production’s details, persistency, quality and accuracy that are in fact the price reasoning. The Aquilar name is derived from the Latin word Aquila –“Eagle”. The tonearm has an effective length of 10inch. Dietrich knew that not all turntables will be able to accommodate an effective length of 12" (Axiom) so he turned, according to him, to the second best length to gain most of the accurate points on the record's surface, and will fit almost any existing turntable with an adapter provided by him (or by the turntable manufacturer). Of course, those of you who has the tonearm and purchased a new or changed tutntables, will better ask the company to produce the tonearm arm-base to fit the specific measures of the Aquilar assembly. 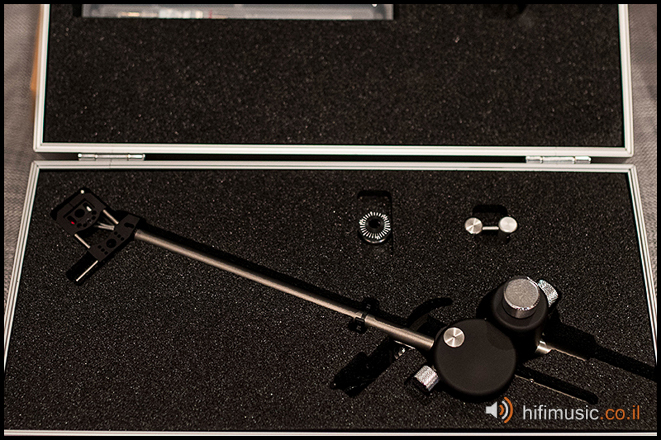 The tonearm arrives from Germany while resting in an aluminum flight case surrounded by a strengthen foam that specifically cut to its measures as well as all its components. Likewise, A.S provides, along with its tonearms, a unique protractor, specially built for them, that comes to aid in the assembly and setup to the highest level possible (at least for those who don’t have the SMARTractor, this is the safest way to assemble the tonearm in the most professional and proper way). Also, wrenches and other tools are provided to accomplish the assembly. The user Manual can be downloaded easily from the website of course. * I strongly advise to those who purchase this tonearm, or any tonearm for that matter, to read the manual before they even open the box! Although the reference booklet is well detailed, and has pictures, you must know a few basic terms. My advice for those of you who don't have a pair of steady hands and some setup experience, ask your dealer for help with the setup. When the local dealer ordered this tonearm to Israel, he asked A.S to provide a special adjustment unit to convert the mounting structure from my personal tonearm (Brinkman 10.5). Thus, although few tonearms have left the production line, the shipment was delayed by a few days until the adjustment unit was produced and shipped along with the tonearm. You can feel the awe while pulling the tonearm from its aluminum case and assemble it on the turntable. The tonearm weight and feel, as well as it's extra parts, all gave me an audiophile’s chills and a child's smile smeared on my face while I tried to concentrate not to screw the assembly up. The entire assembly took about two hours, including the change of my tonearm cartridge to the one which was tested, disassembling the existing tonearm and assembling the Aquilar on my turntable (Brinkman Bardo). Overall, the time it took me to assemble was pretty short, but I must say this is not my first time, and I have read the Aquilar manual several times before the shipment even reached my doorstep. The tonearm and the cartridge calibration took another 30 minutes thanks to the SMARTractor and other tools I own, and also thanks to the Aquilar's phenomenal adjustability features. 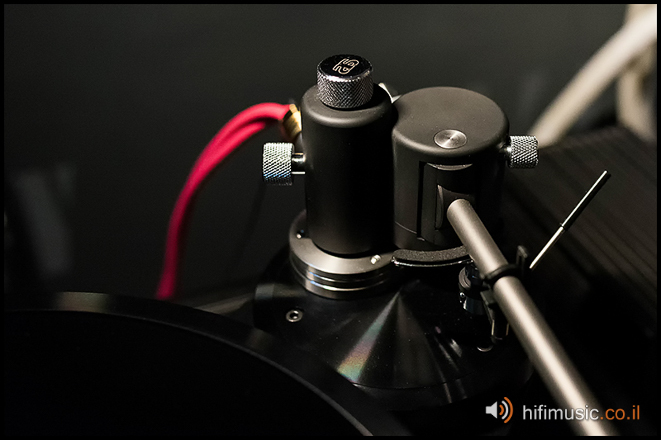 For instance, the headshell is a fresh and amazing revolution, allowing calibration of most parameters without any change to the tonearm body itself, which can stay balanced on all its axes after a proper assembly and tuning. 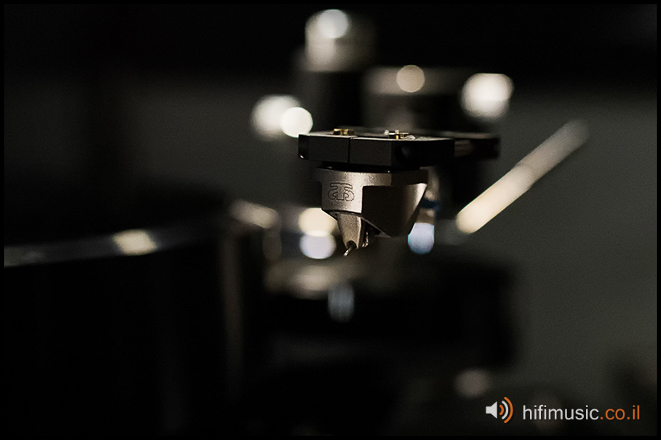 I am talking about parameters such as: SRA, VTA, Azimuth and of course the cartridge geometry in relation to the tonearm (Over Hang & Off Set). Another very nice feature is the ability to change the VTA and the anti-skating while listening to music, allowing you to achieve optimum results. The adjustment is done from the tonearm base, using two fancy metal buttons engraved with the company logo. So, after a few hours assemble it all, how does it sound? The Aquilar and the Axiom are the only tonearms that had been built with the UNI DIN’s modern geometric in mind as a design goal. Thus, along with the cartridge of the same company (the Archon), the matching is perfect. Not just the geometric aspects, but also the materials (for example the titanium in the cartridge and the tonearm tube), resonance matching and so on. The advantage of such compliance is nearly infinite in contrast to some random mix and match assembly. I am not saying it is necessarily a better end result, but there is almost perfect alignment that we can hear and feel moment the needle meats the grove. The tonearm along with the cartridge brought a sense of drive and energy I haven’t heard before from my private setup, or in fact, from any setup I know (maybe a set of Ikeda’s cartridge and tonearm had somewhat similar drive sensation). I feel like the record's grooves are being transported to the speaker elements as if they have no mediation whatsoever! The only way I can think of to explain this sensation is to mention how different it is from digital setups (whether CD or computer based) that make you feel/hear “digital processing” in the form of "digital aura". Here the mechanics of the diamond, vinyl and titanium feel more natural. Since the A.S tonearm was assembled on the Bardo, many records have been played in my system. Almost 90% of my music time went to the analog domain, and the DAC that I recently purchased stayed off most of the time. Liszt Piano Concertos Nos. 1 & 2 - Byron Janis.one that squeezes the hell out of the analog setup. Starting with a very wide range spectrum, dynamics and reproduction of a full stadium piano with a full orchestra of course. Maybe one of the most problematic challenges the analog setup, cartridge and tonearm will ever encounter. The stylus was dropped to the middle of the groove and the “dragging” sound emerged from the stage between the speakers. The strings started an emotional phrase and the brass blowers answered them back. In the very beginning of the composition the load on the cartridge and the tonearm are very hard, even with the best setups you can actually hear it “crashing”, mainly when the blowers “answer” or when the piano enters with powerful large chords. Not in our case! In this record, with this set, there were no distortions, the trumpets answered in a vivid, coherent and tangible way. Then the piano entered, it filled the next few minutes with a specially romantic playing, as the orchestra that silently accompanied it with a single violin or clarinet exchanging ideas with the piano solo. To a more comprehensive bits, with large piano phrases of deep and powerful chords, from the bottom of the frequency range to the high trills. All of that, along with the bombastic accompanying of a full orchestra, the Aquilar is leading a very powerful and exact way to a cartridge that scratch the grove as if it comfortably drives on an eight lane highway at midnight. The lack of effort is especially felt in the difficult bits, and that without a doubt brings the listener to the edge of his seat. Nothing is in the way to restore every nuance, crescendo or instrument, and they do it in the most romantic, warmth and gentle way. The Aquilar such as is the cartridge of the brand, has a very distinct and balance sound which strides to musicality. 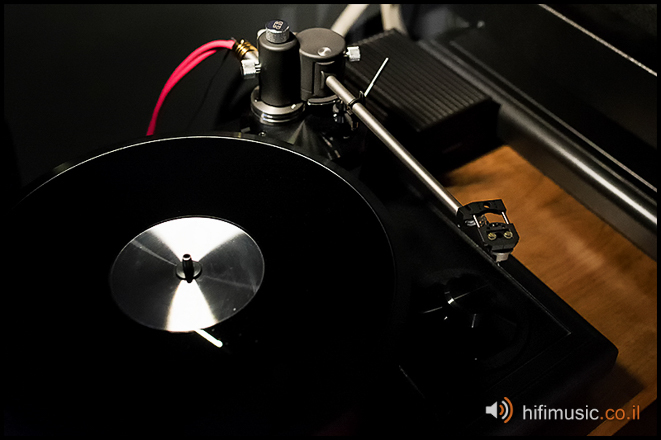 There is no “artificial audiophile sound” or too "warm" materials in the tonearm design, such as wood (i.e. Schroder, Da Vinci) to “refine” the sound as apparently there is no need for that. It doesn’t tend to clarity nor to extreme warmth to transform the texture or any particular sound signature. This A.S tonearm brings mostly precision and balance which lets us hear the record and not the tonearm. Every record I have heard, into any music style I changed, all received the platform they needed to get the clearest and genuine sound & feeling. 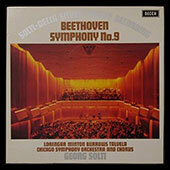 In the ninth - Solti - Chicago Symphony - SPEAKERS CORNER DECCA, the orchestra is grand, sharp and sweeps you away. In the last verse, a huge choral joins a ferocious orchestra. The tonearm, again, doesn’t show any “excitement”, and in the corner of the eye we can spot how the whole setup plays in a remarkable steady way while the cantilever vibrations are the only ones performing the hard job to track down the infinite angle changes in the grooves. The sound is large, focused and very rich. The music is smooth and the lack of the grainy sensation gets its merit with the brass horns precisely as it does while listening to a Jazz record for instance. Quintet in chicago – didn't sound more alive or smooth ever before. 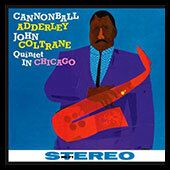 Cannonball Adderley and John Coltrane along with Wynton Kelly, Chambers and Cob playing the utmost fun number in all times. This is an album filled with musicality, which recorded in the extreme sides of the stereo image while the piano and the pair of saxophonists are located in the front and no one bother the other. Including Kelly’s mumbling, humming and his improvisation phrases along the piano solo near the end of the piece in STARS FELL ON ALABAMA . After several records, I felt that the presentation was a bit on the heavy side for me VS the sound I was used to from the Brikmann 10.5, which was very dynamic and more “bouncy” with lighter presentation. I decided to even the scale a bit. Although I liked the weight in the mid bass and the textures in the spectrum bottom, which the Acuilar brought, I wanted to ease a bit on the “heaviness” and the “swelling” I have heard in the first few listening sessions after the assembly. A small turn of the VTA knob in the base tower to lift up the tonearm “tail” and the swelling was gone. Gladly, the textures and exciting weight in the mid bass all staid - along with the tightness and the thin blanket that was removed from of the highs. Thus, I kept this configuration for the rest of the listening sessions, while rejoicing as the sound became more “chewable” and touchable, and not only frequencies & effects in the air. The music is more alive and very much sensible now. From classical and Jazz I moved on to Rock and threw some electrical guitars and drums to the table. Between us, it didn’t challenge the analog setup very much or basically any reasonable setup in that matter (we are talking about well invested, tuned setups and not “vintage” equipment without a loving hand). This record and this kind of music sounds pretty good in any balanced situation. There isn’t critical silence in the background you can follow with a magnifying glass, there is no silent tune turning to a strong crescendo outburst that the tonearm supposed to render and follow, and there isn’t usually any acoustical instruments that require timbre distinction or uncompromised naturalness. The positive things here are the live music sensation, plenty of fun and an emphasis on the energy and drive both physical and emotional. The Bardo which is considered a turntable with plenty of drive (mainly because it’s direct drive is very accurate and strong). But, with the Aquilar it becomes even more powerful and stable in a few degrees. Styles such as Rock, Blues, Metal, etc' sound more frontal now with a strong sensation as standing in front of the audience on a live show. I occasionally air drum for my own pleasure, not just while listening to a large system that the sound wraps and comes to me, but also with my headphones late at night in a mild-low volume while turning records with my last strength of the day. The printed force goes through the tonearm in a very stable way, which brings these genres a vast advantage over other genres to my opinion… but it always was like this, even on much less expansive setups I possessed before, but eventually the more stable and good the setup is, the more live sensation emerges from, the vinyl and the impact of the instrument is unmeasurably genuine and strong. Blues, Rock and many "harder" genres are on my everyday musical diet. The set up along with the Aquilar brings a crazy vibration sensations, evaluating details such as which guitar effect is applied. There are so many details that you can hear which preamps were used in the recording studio. Impressive. One of the mightiest advantages of the Aquilar is the ability to reproduce piano sound. I’m not the first one who points that out, basically every review or a person that tried it, says that regarding this tonearm. They all describe it's unique phenomenal reconstructing of the piano sound. But before I describe it myself, you need to realize that the piano is the most complicated instrument of all to reconstruct in an audio system, and on a turntable all the more so. We have talked before about the alignment of all aspects in order to enjoy a piano as a real, quiet, distortion-free but with natural sound. Thus, if the tonearm is known for its perfect piano rendering (or close to perfect, because there is no perfect in Audiophillia) of this problematic instrument that means, allegedly, it is capable to do almost anything else much better. 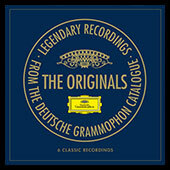 (Doitche Gramophone 1974 new print, part of “The originals” box) – these are miniature pieces of piano solo with a beautiful melody and the possibility to transform real emotion from the pianist. It is written on liner notes that only kids and teachers knew these miniature, until Gilels heard a Swedish folk song and discovered them all over again, recording them despite the fact he was known only for large, serious concerts pieces. The piano still sounds charming and delicate, and the magical touch of the Russian pianist hovered above the keys until the bright ivory images aligned in a virtual stage between the speakers. 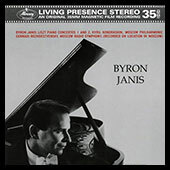 I usually find it hard to listen to a complete solo piano record on an analog set. The reason is that with decent sets, or even mildly good ones, there's this distortion towards the end of the record that just gets amplified as we go on (this of course happens with all records, but with solo piano I find it most annoying) and of course dynamics problems that can annoy everyone with a pair of sensitive ears. The records themselves (the media) are usually the real bottleneck here, but from my experience, un-tuned setups (and I’m talking about professional tuning) with detailed cartridges and relatively expensive tonearms cant reproduce piano solo records to the level I expect. Obviously, you can hear and even enjoy them very much. However, due to the relatively harsh OCD I have for delicate distortions in the end of the notes, personally it is hard for me to listen to a whole side and personally, I usually turn towards digital playback in such situations. With the Aquilar (and may I point out, also with the Brinkman 10.5 before that) I feel better and even great on those cases where the records are actually printed properly and crystal clean. The tonearm brings, as I said, precision and stability that I have never heard before on a piano recording, and the synergy with the Archon cartridge perfectly balance the instruments' sound. With the lighter Brinkman you could hear in rare cases, the delicate distortion on strong keyboard hammering and in the crescendo of course, where the mechanics limitations comes into play. With the A.S tonearm however, I found zero points of distortion, thus, I obsessively started to pull out all my piano albums just to check how high it can reach. Nevertheless, I didn’t come here only to tell you about it's ability to overcome technical obstacles, the tonearm succeeds to reproduce the piano sound in all its size and naturalness with which it is recorded. The magic in the mid, the resonating overtones under and along the brass piano wires, the pressed pedal that allows the large chords to resonate freely or landscape of sound on which wonderful passages are played on. The Aquilar is able to get the piano into the room and wrap the listener with its sounds. 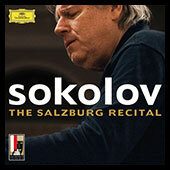 Sokolov The Salzburg Recital – brings a remarkable performance over two LPs. The piano’s sound in the great hall is heard from side to side they way it was captured during the recording. The Aquilar was able to present not only the fingers’ weight on the large wing piano keys which stands in the middle of a large stage, but also the ambient surrounding it. Furthermore, it was able to reproduce the reverb time and any other nuance that the microphones picked up on this great modern print & production. The great, strong piano with a well-trained (maestro) pianist does it well. The setup plays the recital as if it was created for it, like Dietrich from A.S himself tuned the voicing of the tonearm, the cartridge, or all together for the piano’s reproduction at this level. Acoustical Systems is only at the beginning of its audio/business journey, and already received many awards and praising reviews for some of its products. 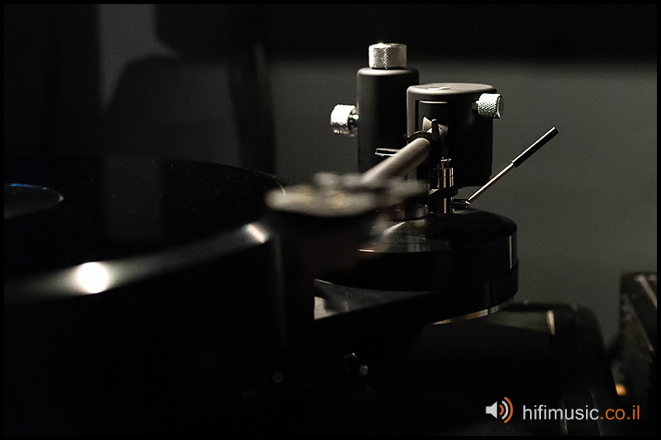 Whether from its precise and special tuning tools to its cartridges and of course the tonearms that receive a special place in the headlines, especially in the savvy analog communities. The Aquilar is one of the best tonearms in the world for its price, maybe even for double the price according to some comparisons. 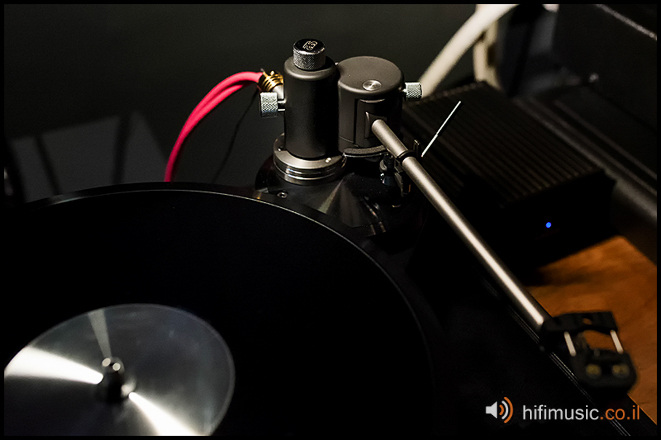 Despite it's price, which isn’t very “accessible” anyway, and the fact that 8300 euros (retail in Israel, including the silver wire attached) will buy you plenty of other tonearms, the Aquilar- if you hear it, will be almost un paralleled to achieve the most from your records and for your music enjoyment. IMHO of course. For those who want to invest even more (more than double actually), there is of course the company's statement, the Axiom – a 12" arm with some extra features (such as VTF tuning while listening, a more stable, unique lifter and other great, cool stuff). 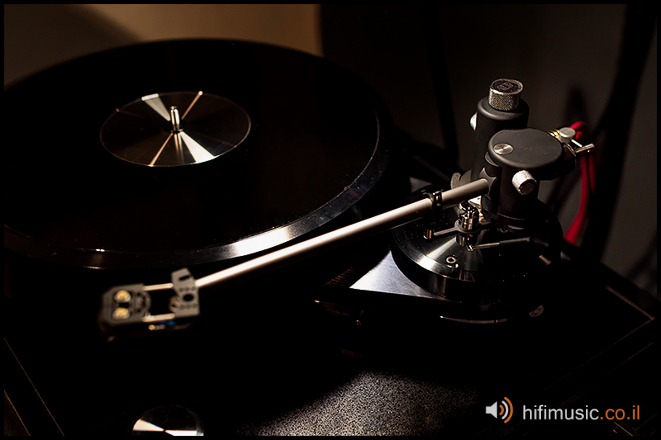 Dietrich & A.S without a doubt, got some major recognition, and the products are emerging in some very impressive rooms and the tonearms are attached to the most expensive turntables in the world. You can see the Axiom and the Aquilar sit on a reference setups and turntables worth tens of K's of dollars and “surprisingly” replace tonearms that made history, no less. Today, after my journey with the Aquilar over many listening hours, I can see why. Amps and pre amps by MBS.